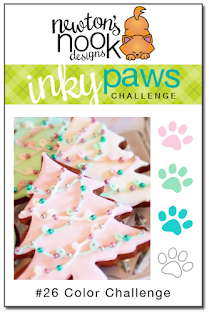 Inky Paws Challenge #26 Winners! We loved seeing all fun creations using our colors for this challenge! THANK YOU to everyone who entered! All the awesome entries always make it difficult to choose the winners! 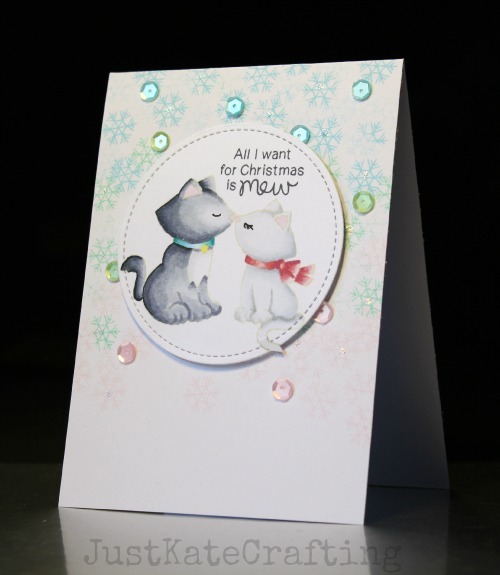 Our first Top Pick is this gorgeous card by Kate! 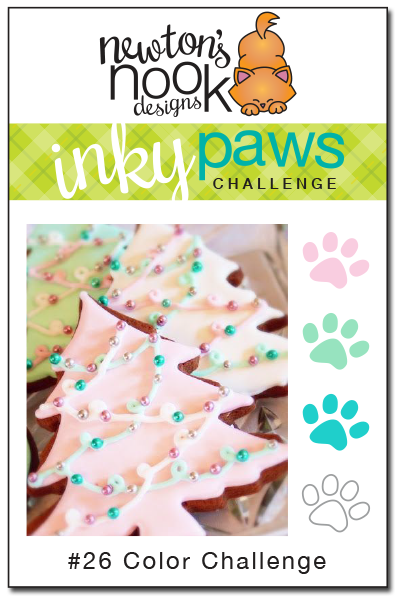 We loved how she stamped snowflakes and added sequins in all the colors used in the challenge! We also love the way she colored those kitties from our new Newton's Christmas Cuddles stamp set with the no-line coloring technique! They look so soft! Our Second Top Pick is this fun flamingo card by Dawn E! We love how she stamped the flamingos from our Festive Flamingos stamp set a bunch of times and created a fun background with them! Such a fun card! Congrats to Kate and Dawn! Don't forget to send us an e-mail at info@newtonsnookdesigns.com to claim your $10 store credit and get your winner badge for your blog! Here is an adorable birthday card by Tracy Marie Lewis! We love how she used the color combo to color the gifts! She used our Newton's Birthday Bash stamp set. 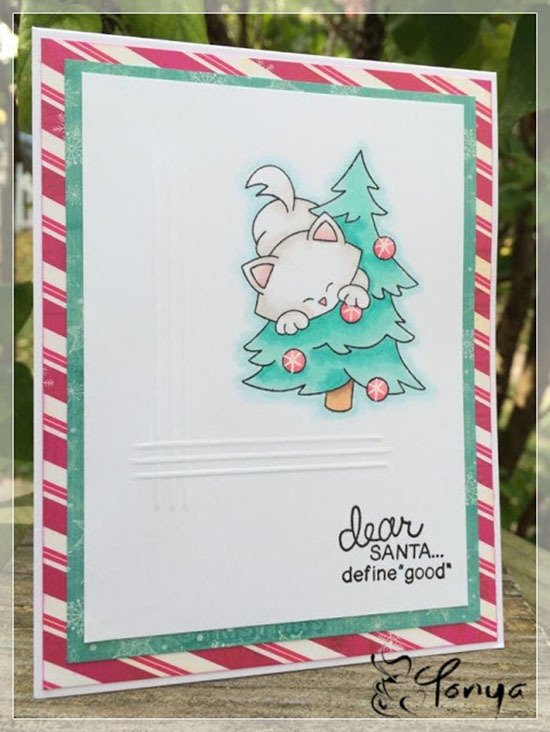 This card by Tonya is so fun! We love the simple layout with the added texture lines and the mind colored Christmas tree! So pretty! 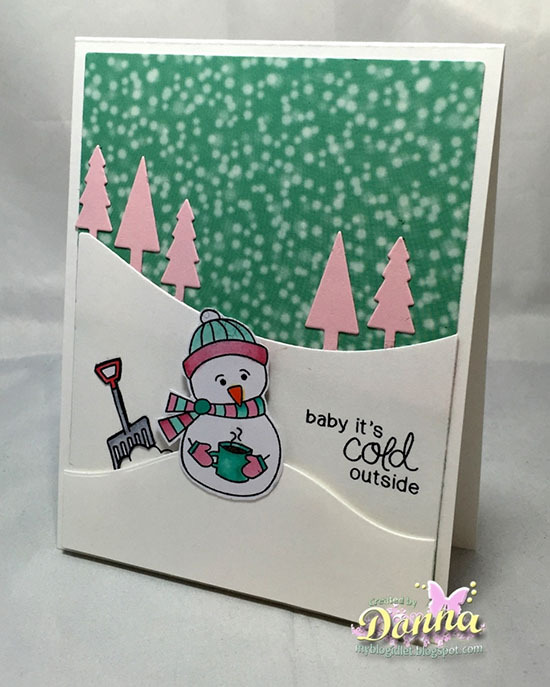 We love how Donna created this adorable snowy scene with the images from our Frozen Friends stamp set. Those pink trees in the background are so cute!! Thanks again to everyone who entered - It's really so much fun to look through all the entries and see everyones ideas! If you didn't win this time we hope you'll play along again next time! Save the date: the next challenge will begin on November 20th.